Local Rocker’s art was designed by Vermont musician and cartoonist James Kochalka, creator of “American Elf.” For years, we’ve performed together in Burlington bars, and we’re stoked to collaborate with this Local Rocker legend. Our favorite local rockers bare their souls on stage night after night. They don’t burn out or fade away. They rock on. 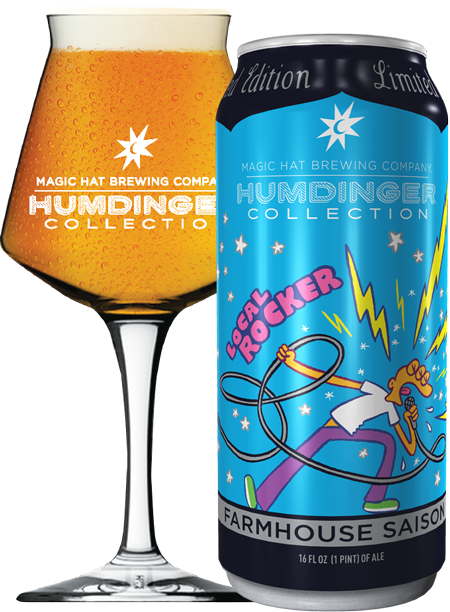 Local Rocker is a farmhouse saison with light citrus notes and a dry finish. Much like a true rocker, this beer is known for its expressive and forward character.